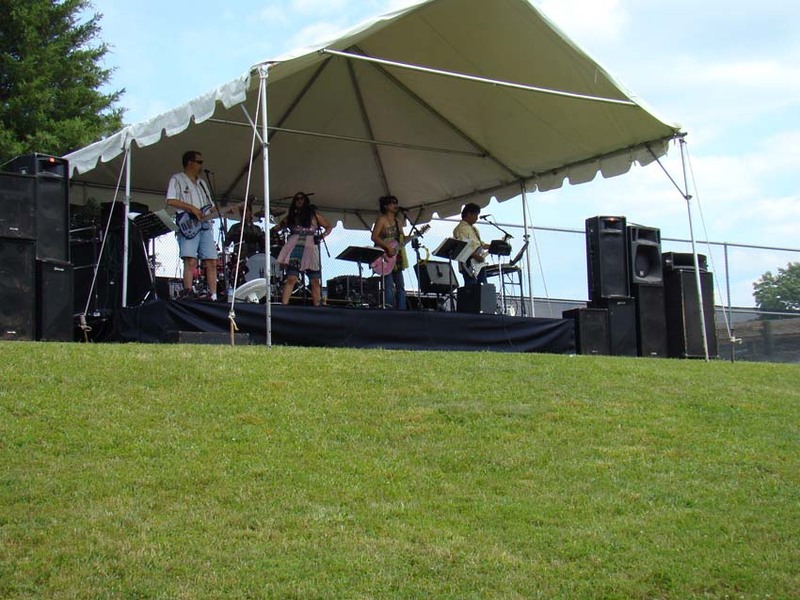 On Saturday June 16th Oracle was thrilled to perform for our first outdoors performance of the year for the annual International Brotherhood of Electrical Workers Local 26 picnic and health fair at Signal Hill Park in Manassas Virginia. It was a picture perfect day as the band, perched on a stage atop a hill overlooking the park and pavilions, performed a wide variety of material. Although it was more of a concert than anything else owing to the distance (and the rather steep hill) between the stage and pavilion area, everyone appeared to have a wonderful time, and the band made a number of new friends. 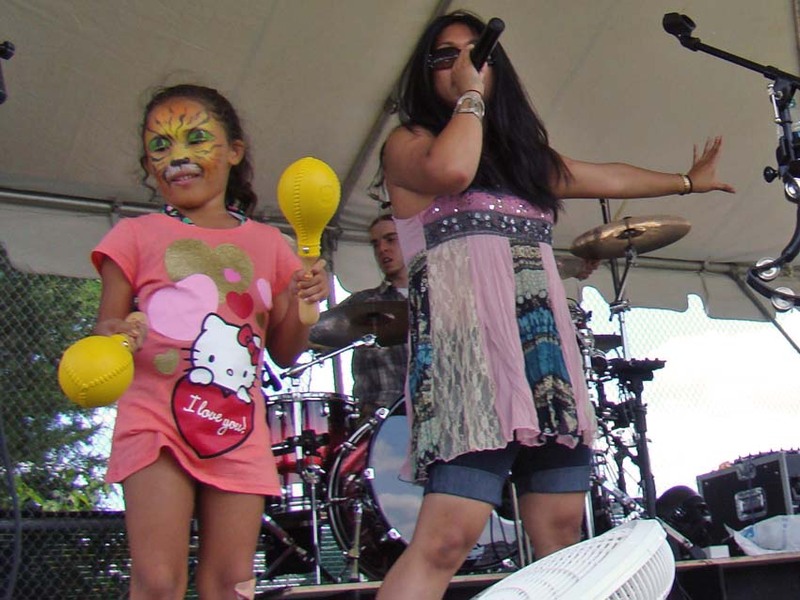 As usual it was the kids that really made the most of the day, and despite the temptations of a water park directly behind the stage we still enjoyed a nice audience of youngsters who danced and sang along, and indeed we even had one young lady join us on stage for a number! 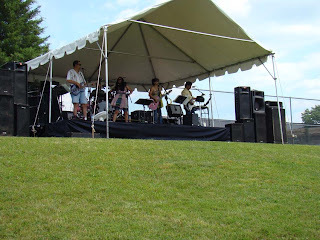 Oracle is pleased that we've been invited to perform for the IBEW Local 26 Maryland picnic on August 4th down at Camp Letts near Edgewater Maryland. Hope you enjoy the photos!! !